Summer is a time to explore, see the world, step outside of your comforts, make memories, and make friends. And yes, get ahead in some schoolwork. Not much can beat studying abroad in the Summer. Europe’s energy is palpable as the days get longer, the nights warmer, and tourists flock to the historical streets. But where in Europe to study? 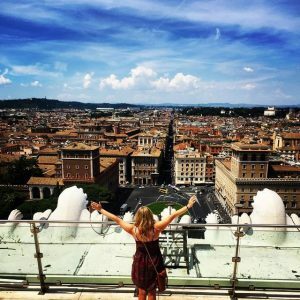 Choosing the perfect location to study abroad can be difficult. What if you didn’t have to choose just one place? In Summer 2018, SAI is offering 6 different Summer Combination Programs and Experiences (SCOPE) that combine two different Italian cities and host schools – for a reduced price! Start your program with a Mediterranean emphasis in the stunning seaside town of Syracuse in Sicily. Enroll in courses that highlight the unique history and landscape of Sicily – or take a deep-dive into Italian language. Once you have slowed down your pace and marveled at the beaches, head to lively Florence for a wide range of liberal arts coursework. Experience the Italian Renaissance, immerse yourself in hip fashion, and treat yourself to Tuscany’s culinary delights. 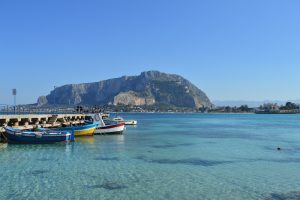 Start your program with a Mediterranean emphasis in the stunning seaside town of Syracuse in Sicily. Enroll in courses that highlight the unique history and landscape of Sicily – or take a deep-dive into Italian language. Once you have slowed down your pace and marveled at the beaches, head to bustling Milan and be amongst high fashion, design, and Italian industry. In Milan, study at Università Cattolica del Sacro Cuore alongside others from around the world and learn about your discipline from a different perspective. Commit to learning Italian language, and start your program with a Mediterranean emphasis in the stunning seaside town of Syracuse in Sicily. Enroll in an intensive 4 credit Italian language course or elective courses that highlight the unique history and landscape of Sicily. Once you have slowed down your pace and marveled at the beaches, head to the Italian capital city of Rome and experience a blend of ancient history and modern Italian lifestyle surrounded by stunning sights. Study Italian language in an immersive course at Italiaidea Institute and return home with a better understanding of the language and culture. Start your program in the ever-inspiring city of Florence, flush with art and history around every corner. 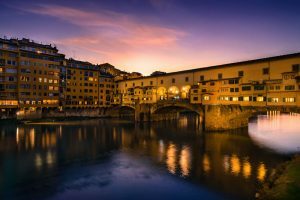 Enroll in an array of liberal arts courses, while experiencing the Italian Renaissance, understanding the rich cultural heritage, and treating yourself to Tuscany’s culinary delights. Then, head to bustling Milan and be amongst high fashion, design, and Italian industry. In Milan, study at Università Cattolica del Sacro Cuorealongside others from around the world and learn about your discipline from a different perspective. Start your program in the ever-inspiring city of Florence, flush with art and history around every corner. Enroll in an array of liberal arts courses, while experiencing the Italian Renaissance, understanding the rich cultural heritage, and treating yourself to Tuscany’s culinary delights. Then, head to bustling Milan and experience a global fashion and design capital first-hand at Nuova Accademia di Belle Arti. Enroll in art, fashion, and design courses that inspire you and challenge what you know. Start your program in the ever-inspiring city of Florence, flush with art and history around every corner. Enroll in an array of liberal arts courses, while experiencing the Italian Renaissance, understanding the rich cultural heritage, and treating yourself to Tuscany’s culinary delights. Then, head to the Italian capital city of Rome and experience a blend of ancient history and modern Italian lifestyle surrounded by stunning sights. Study Italian language in an immersive course at Italiaidea Institute and return home with a better understanding of the language and culture. Chiara is SAI's Director of Operations and is based in beautiful Washington, DC. She grew up in Italy and California, and has a Master's degree in International Relations. Chiara loves travel, good food, camping and great adventures.